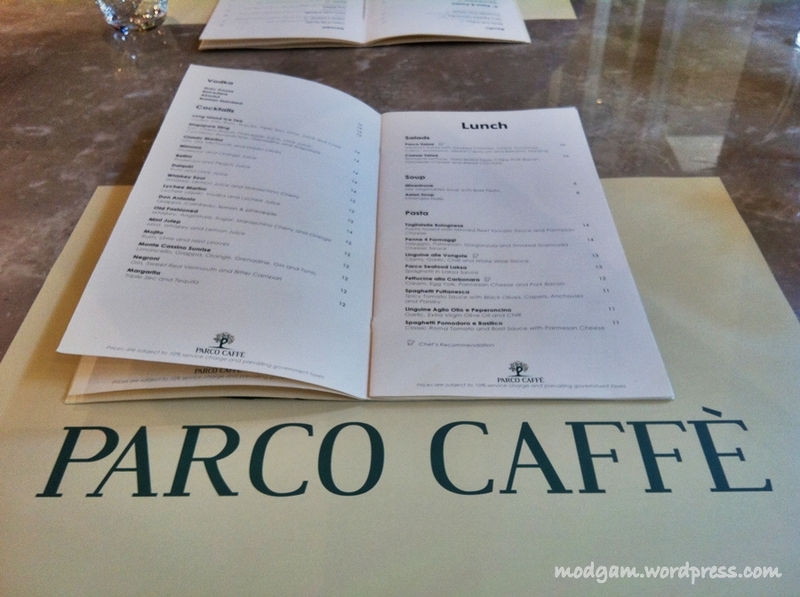 Parco Caffe – i will be back for more! 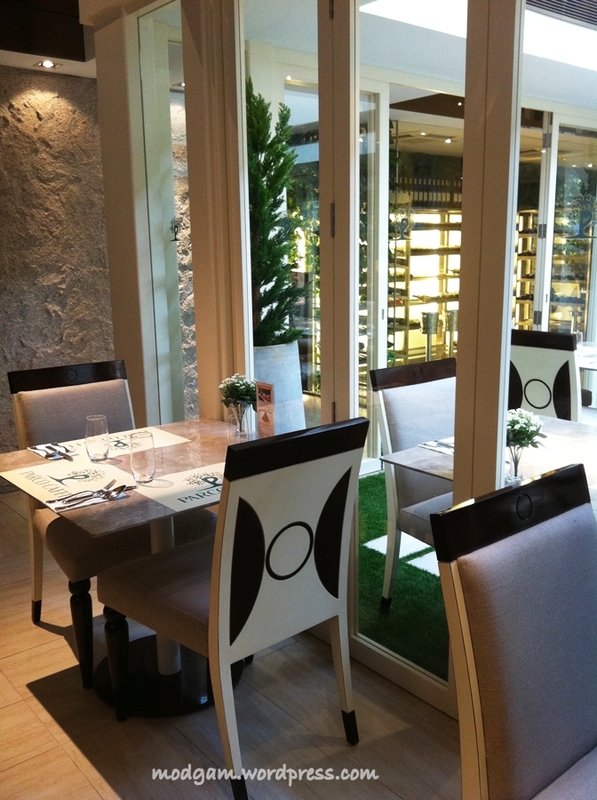 This place is sooooo gorgeous and filled with greenery I thought I was dining in a greenhouse! The nice yellow light makes the whole café romantic and soothing to the eye. 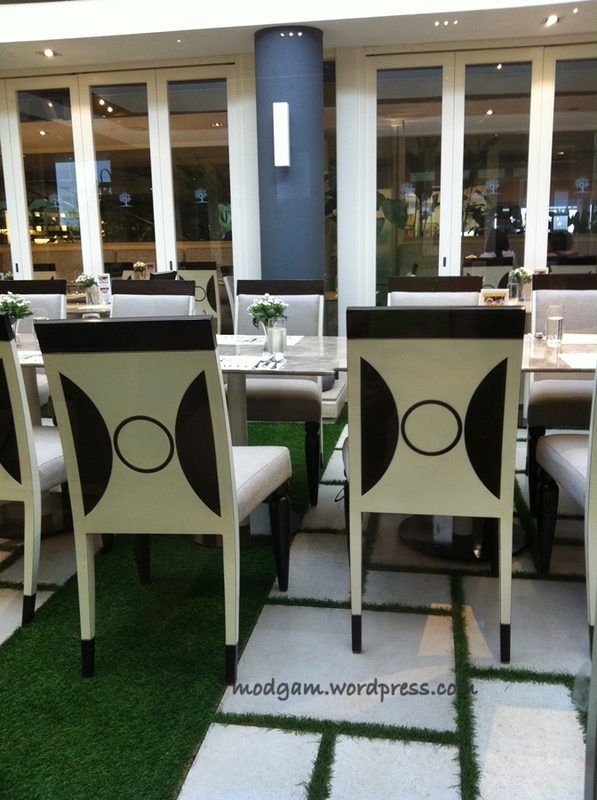 I LOVE the fake outdoor indoor idea! The “outdoor” settings is actually separated from the actual indoor seatings and they have fake grass patches and ceiling fan! 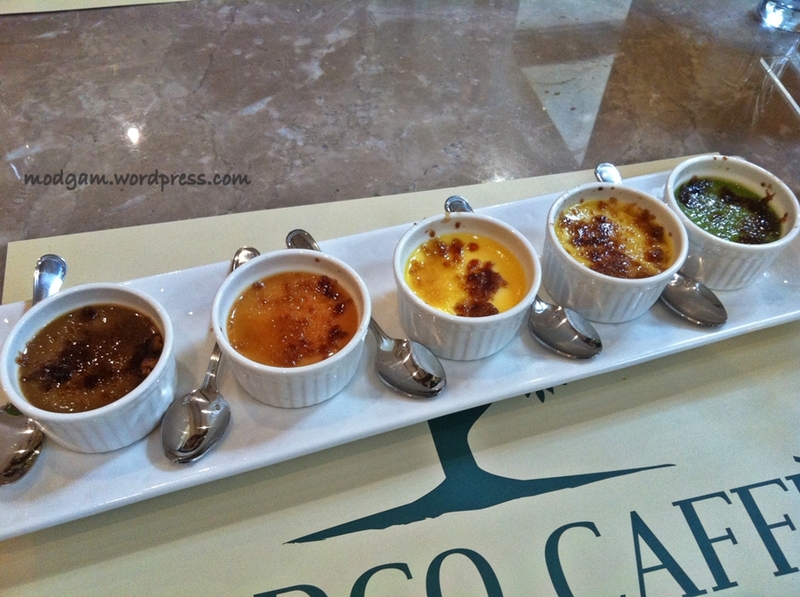 The service is good and the waiter took time to explain a little about our dish each time he served. 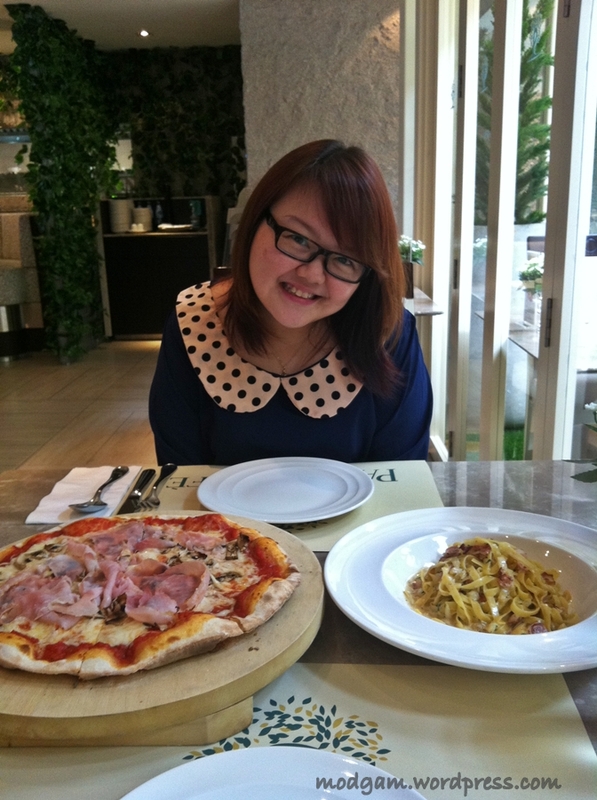 Had the best lunch and would definitely be back to try their brunch! Capellini Carbonara S$14.00 – Angel hair pasta, olive oil, grape tomatoes, broccoli pesto, zucchini, parmigiano, parsley, folded with fresh egg yolk, cayenne. Tasted as yummy as it sounds. 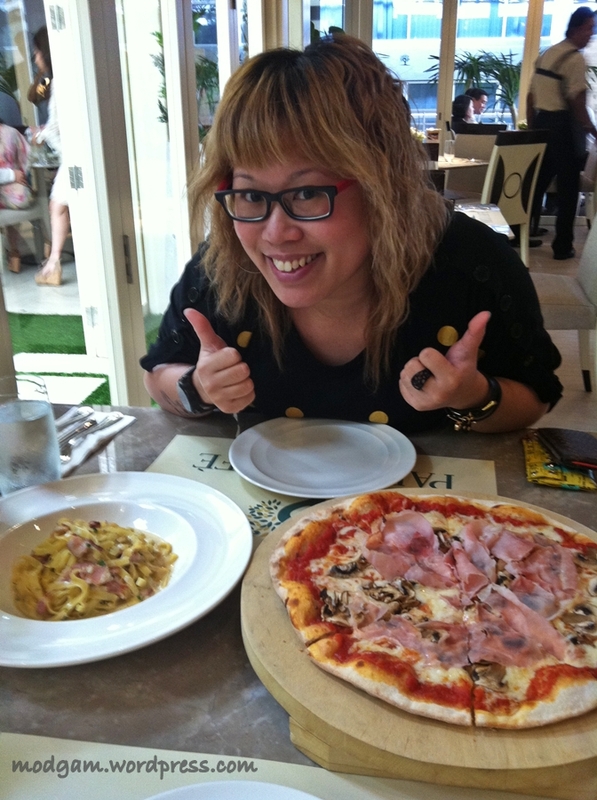 Prosciutto E Funghi S$12.00 – 12” pizza with generous serving and I love the thin and crispy skin! 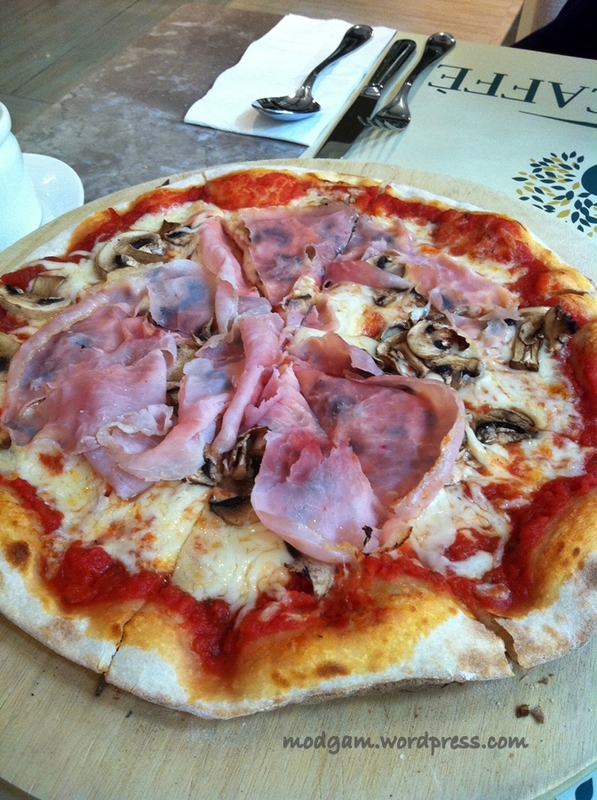 Tomato, buffalo mozzarella, cooked ham and mushroom. 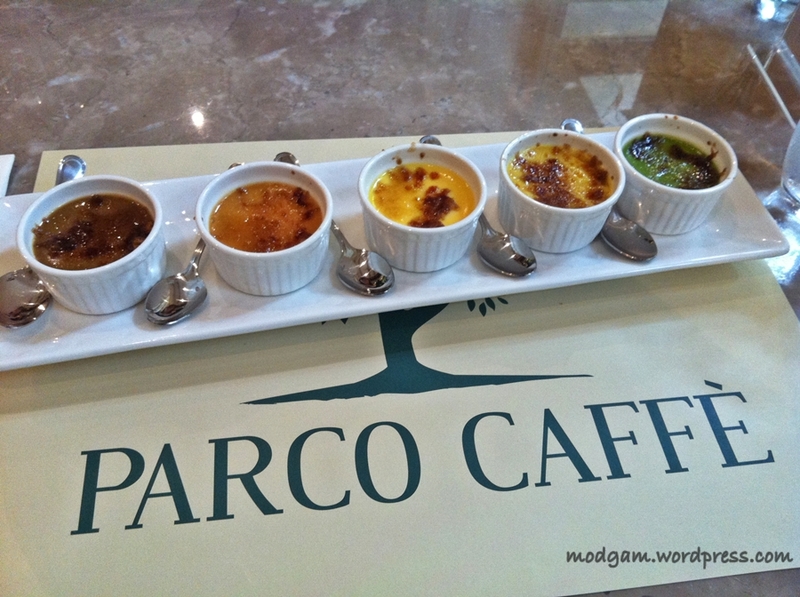 Crème Brulee Parade S$18.00 – 5 flavours (from left to right); Coffee, I forgot the name for it’s a Malay Kuey name, original, orange and green tea. The coffee one is overpowering but in a good way cos its yummy just that it’s a bitter if you take a big mouthful of it! 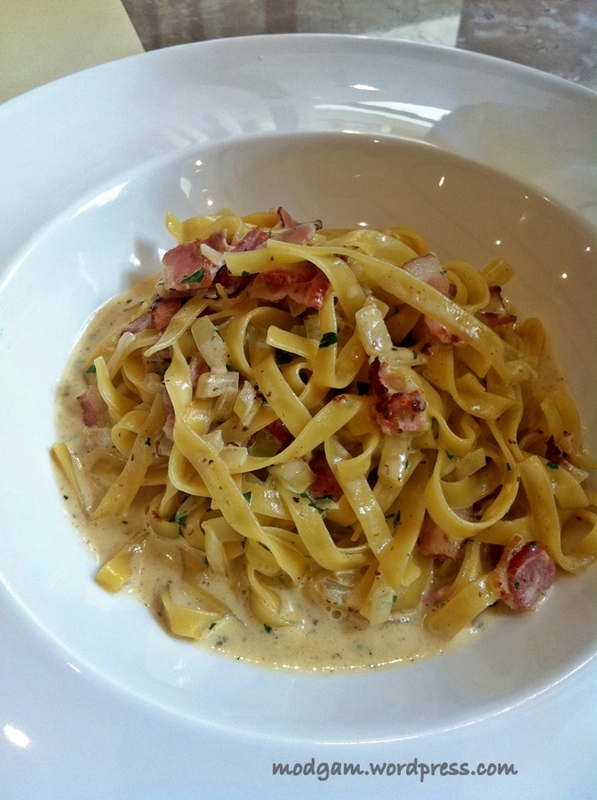 It’s soooo yummy, we wanted to order another if its not for the slightly steep price. Love the decor in there! Hi Lisa, it is very nice! 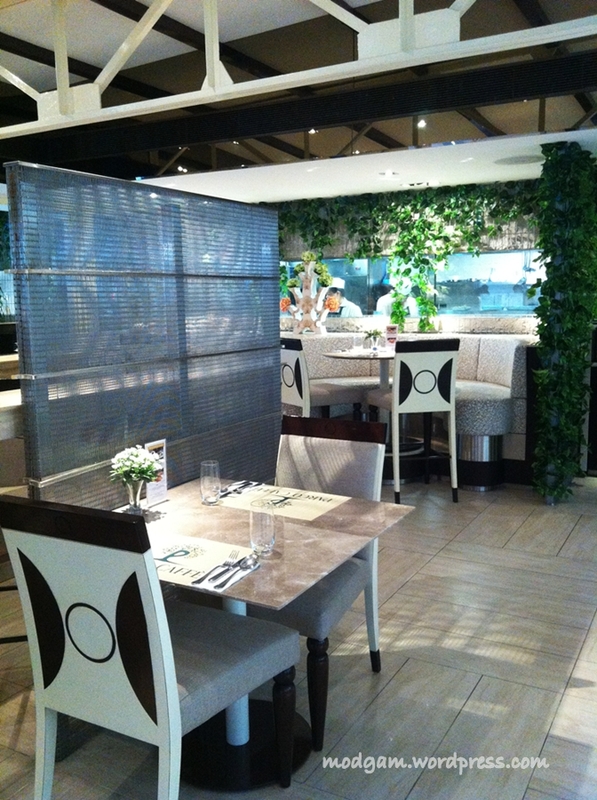 i cant wait to head back and try their brunch!